Air traffic controllers across the Highlands and Islands are threatening strike action over a pay dispute. The Prospect union yesterday notified Highlands and Islands Airport Ltd (Hial) that controllers will be balloted on industrial action. Prospect union leaders are seeking a 10% pay rise to bring ATCs in line with the salary of colleagues across the UK. Hial management said they offered all staff a 2% increase, which was accepted by all apart from the ATC workers. Before Christmas, in an attempt to resolve the dispute, Prospect and Hial jointly agreed a business case, setting out the pay gap, the staff shortages this is claimed to have caused and the risk to maintaining service provision if HIAL cannot attract and retain controllers. Prospect Negotiation Officer David Avery said Scottish Ministers rejected the business case earlier this week. He added that no explanation had been given and no additional funding was offered, leaving the union no choice but to ballot on industrial action. He said: “Scottish Ministers have been promising pay restoration for public sector workers but their policy fails to deliver. “There is a global shortage of ATCs which is driving wages up across the industry – at the same time Hial staff have received below inflation pay awards. “It is unfair that a Hial air traffic controller, providing an essential service for the Highlands and islands, is being paid half as much their counterpart in London. Enough is enough. Hial director Andrea Sillars said: “Hial note the position taken by the Ministers. We are disappointed that Prospect have decided to ballot their members on strike action. 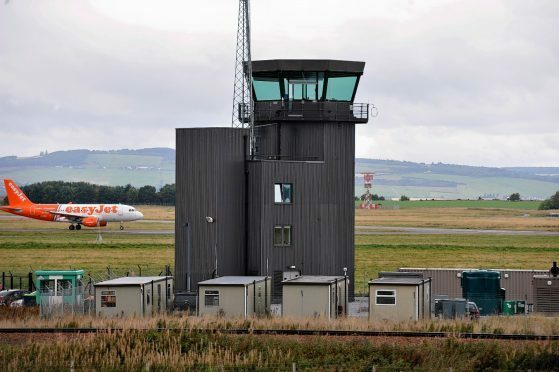 In July, Inverness was officially chosen by HIAL as the location for its centralised control tower which is to incorporate seven of the Scottish Government-owned regional airports. Expenditure to implement the project is to cost in the region of £28 million in a move Hial at the time claimed was made in order to “future proof” the company amid an increase in air travel and demand on resources. Sumburgh, Dundee, Wick John O’Groats, Kirkwall, Stornoway and Benbecula airports will all now be remotely operated from the centralised tower in Inverness, after extensive research was conducted by the air traffic operator into similar methods already in use in Sweden. The announcement has not been universally accepted, with Caithness, Sutherland and Ross MSP Gail Ross expressing her disapproval, after pushing for the control tower to be implemented within her constituency. She said: “I have consistently made the case that Wick John O’Groats Airport should be considered as a real possibility for the future of the air traffic control service in the Highlands, not least because of the real benefit and impact it would have on the socio-economic climate of the county.